Thailand is a traveler’s haven. Go to any part of the country and you can meet backpackers and other types of travelers, all-year round. This means that you’ll need to deal with the crowd, chaotic streets, and jam-packed restaurants. 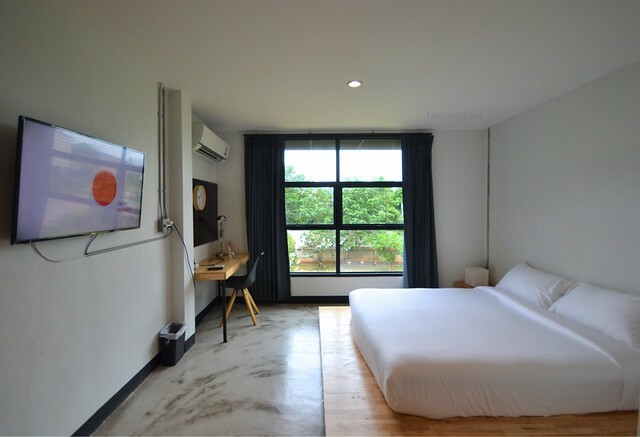 If you’re looking for a place to move away from these stressful scenes, make a visit to Lampang, specifically in Karpenter Lampang, a new and unique boutique hotel in Lampang offering a peaceful and relaxing vibe. The gate to a unique and relaxing stay in Lampang, Thailand. Lampang is a valley bordered by Khun Tan Range and Phi Pan Nam Range. The city, don’t be confused with the province, is the third largest town in northern Thailand. It’s seven hours away by bus from Bangkok or 1.5-hour bus ride away from Chiang Mai. The city is off-the-radar for travelers but it has its own take on Thailand’s history, culture, and food. I had no idea what to do when I arrived at the bus station but I had tons of activities tried during my 2-day stay. 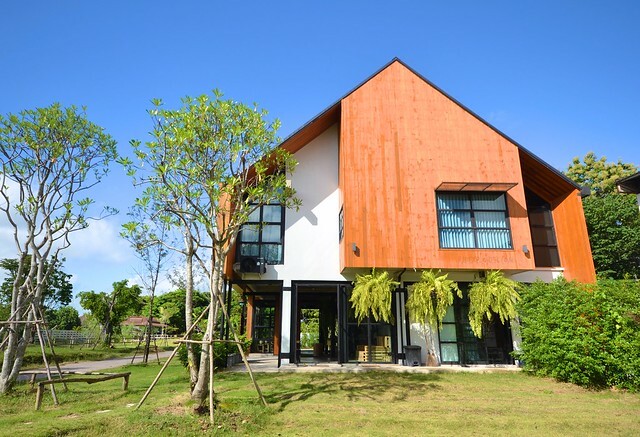 Barn-type hotel accommodation offered by Karpenter Lampang. Welcome home to Karpenter Lampang. 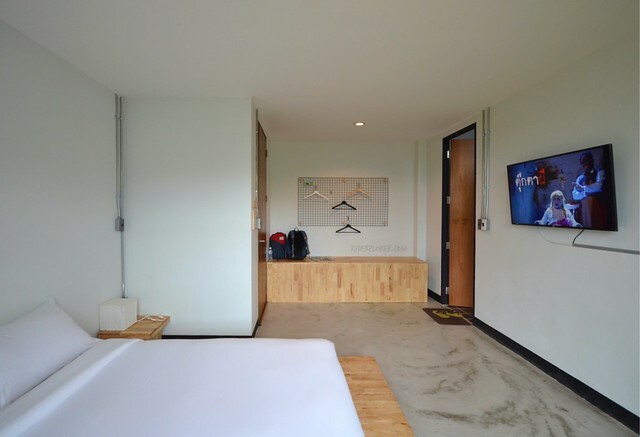 For accommodation, one of the recently opened property on some booking sites I’ve checked is Karpenter Lampang. 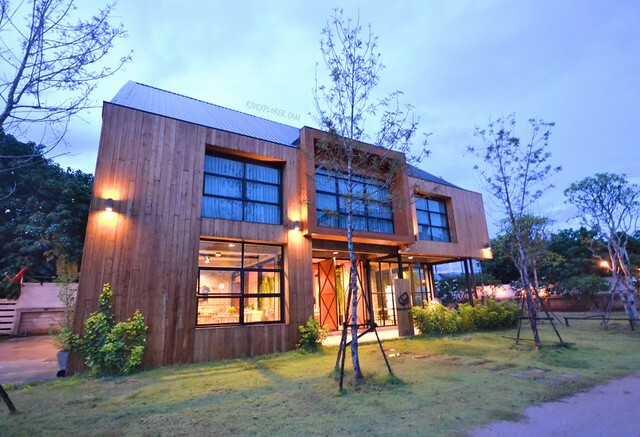 The unique style of the accommodation fascinated me. A few days later, I found myself being welcomed by the owner who literally built the boutique hotel. Few more spaces on the ground floor. As of the moment, the property only has five rooms that allow them to manage the hotel themselves. Upon showing your passport or national id and them confirming your reservation, you can start choosing your breakfast. Yes, it’s part of the hotel rate and they have three breakfast options available. Free coffee and biscuits all-day! They also provide bottled waters for guests. Lobby and reception on the ground floor. 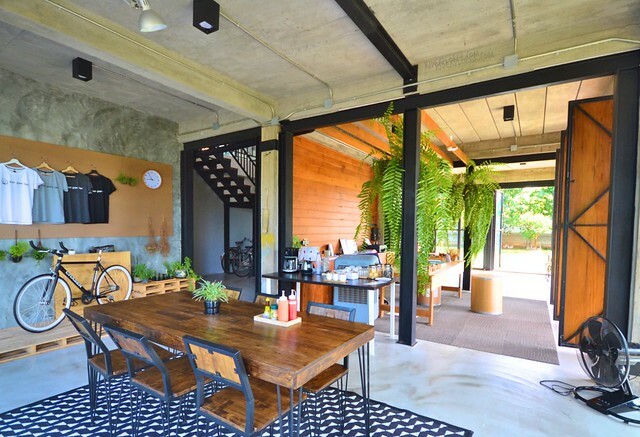 Karpenter Lampang has five minimalist loft rooms named as Clamp, Hammer, Saw, Chisel, and Plane. 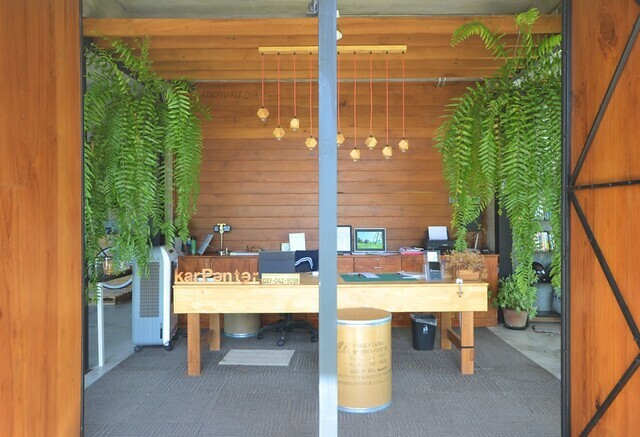 If you’ll notice, the rooms were named after woodworking tools to align with its branding. 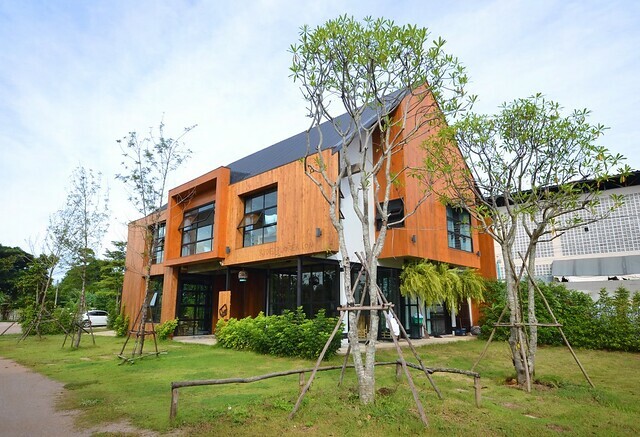 Since it’s a boutique hotel, no rooms are similar in terms of layout and interior design. All rooms are on the upper level of the barn-type building. Minimalism trended lately and the concept created a buzz worldwide. I didn’t imagine the impact of this concept until I arrived in my room at Karpenter Lampang. The bedroom has three major areas: the bed, working desk, and a long wooden low-cabinet. Space is a luxury since the simple yet striking interior optimized the space inside the room. Muting the colors also enhanced the light and provided an uplifting mood. The white walls, apart from being soothing to the eyes, make the room bright by distributing the lights coming in from the floor-to-ceiling window. Pleasant to the eyes. Don’t mind the TV show, LOL. 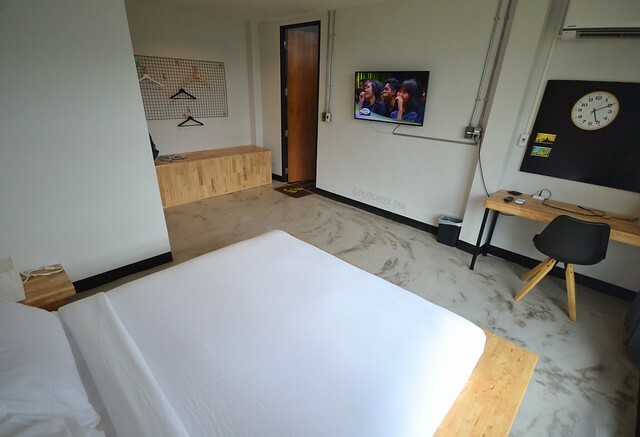 The massive bed is elevated from the concrete floor on an inch or two-high wooden frames. As for the bed quality, it’s one of the best beds I’ve tried during my 100-day trip in Southeast Asia. Two pillows of the same softness and the equally squishy duvet were so irresistible. 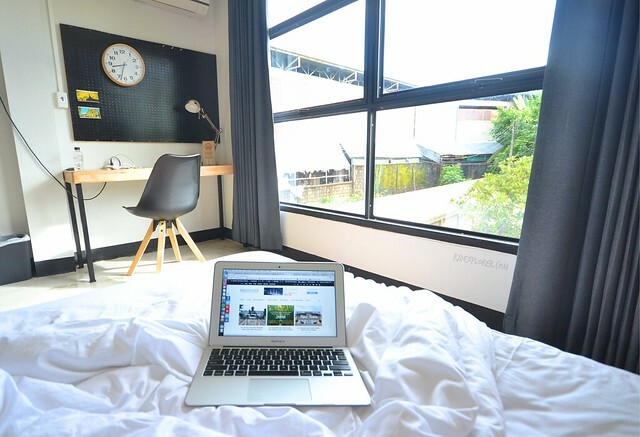 I can seriously just stay on the bed during my stay in Karpenter Lampang. 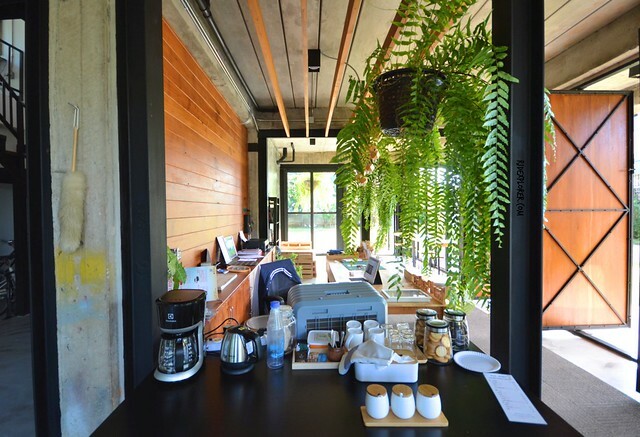 Working space provides a peaceful atmosphere to finish all pending works. Several postcards posted on the cork-board could relieve your worries once in a while. 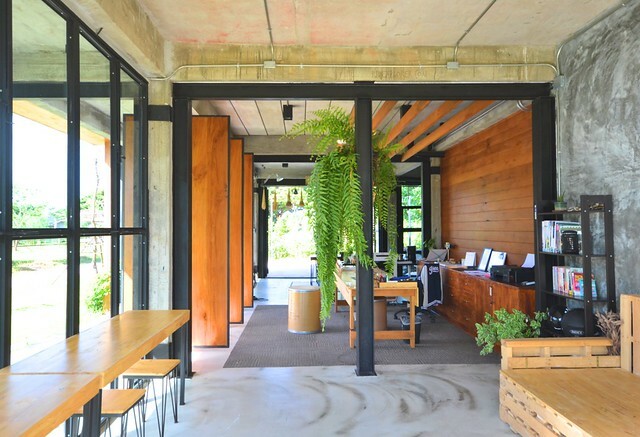 Or just staring at the garden of the property framed by the floor-to-ceiling window. 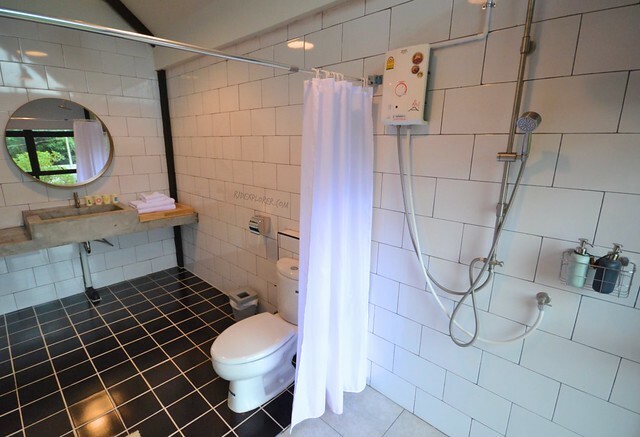 Bathroom is very spacious almost half of the size of the bedroom. A circular mirror debunks the usual mirror-covered bathroom walls. It’s also great to see the square sink made of concrete. You won’t miss the cute cups with the letters L O V E at the sink. Clamp room’s bathroom. Look at the ample space! Hot and cold shower is available on overhead and handheld spouts. Shampoo and shower gel is also provided. Fresh and clean body and hand towels complete the shower amenities. Clamp room’s shower area, similar to the bedroom, has a floor-to-ceiling window. But privacy is still provided by the blinds covering the entire window. Breakfast is included in the room rates offered by Karpenter Lampang. 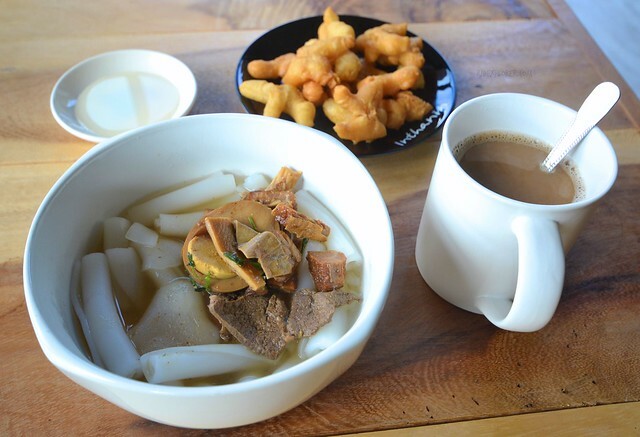 You can choose your breakfast from three sets available: pan eggs, kuay-jab, and pork skewers. All sets come with pa tong ko (Thai-styled donuts), fruits, and coffee. What’s also good about breakfast at Karpenter Lampang is you’ll get to talk with the owners. One morning, I had the chance to have breakfast with the couple behind the hotel and it was a great to know their story and how they built the property. 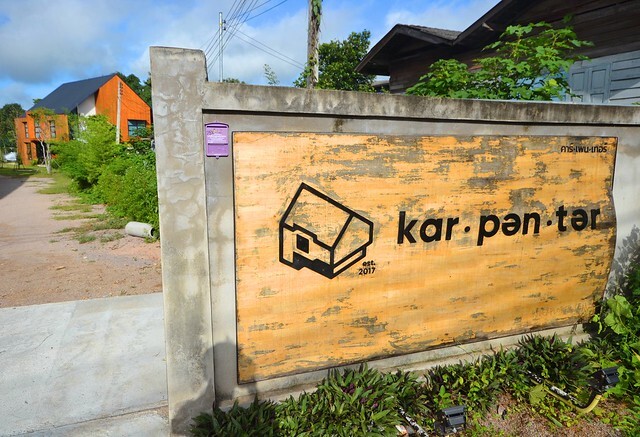 They also shared some of their plans and projects for Karpenter Lampang. 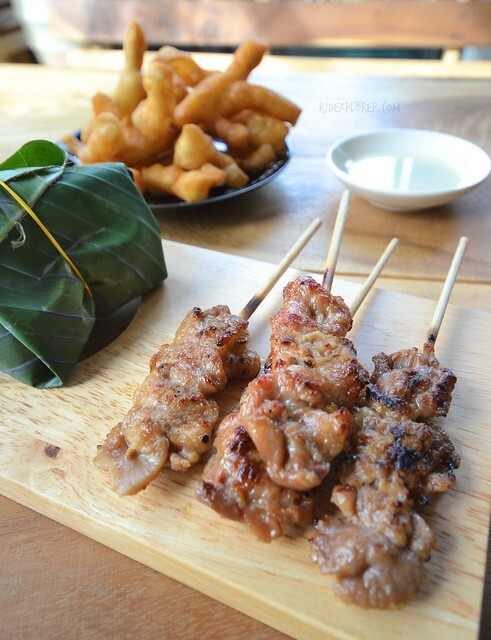 Pork skewers served with rice and Thai donuts. Karpenter Lampang is a 10-minute walk from Nakhon Lampang Railway Station and on the way is a morning market. Lampang is famous for horse carriages you can use to hop from one attraction to another. The city has several temples like Wat Si Rongmuang, Wat Pong Sanuk Tai, Wat Pa Fang, and Wat Srichum. Kad Kong Ta Street, also famous for the night market on weekends, is a historical street used for trading over 100 years ago. For food suggestion, try the famous Khao Soi, a Burmese-influenced dish ubiquitous in northern Thailand and Laos. 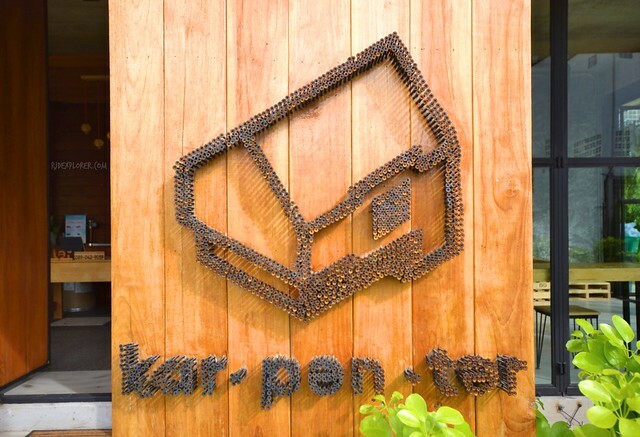 Karpenter Lampang, your home away from home in Lampang, Thailand.